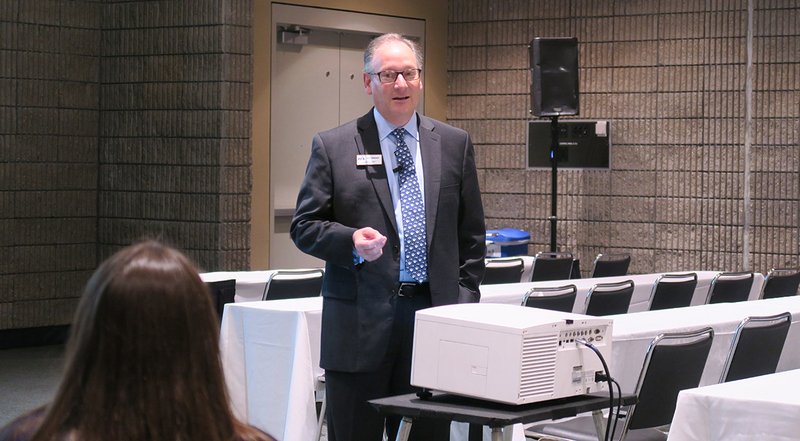 ATLANTA — Embracing technology is the next natural step in the evolution of third-party logistic companies, according to Robert Voltmann, president of the Transportation Intermediaries Association. At the McLeod Software User Conference Sept. 19, Voltmann said that technology and data analytics present new opportunities to invest in transportation management. For example, he said predictive analytics give planners the ability to anticipate which shipper will have 20 loads that need to be moved in a week’s time. ELD EDUCATION: Bring all employees in on the mandated technology, industry execs say. Alexandria, Va.-based TIA represents 1,600 3PLs. Technological advancements in the trucking industry include electronic logging devices. The federal ELD rule, which goes into effect Dec. 18, mandates that commercial drivers who are required to prepare hours-of-service records adopt the devices. The biggest disruption from ELDs is going to come from receivers who are not going to get away with abusing trucks anymore because there’s proof. The Commercial Vehicle Safety Alliance announced Aug. 28 that vehicle inspectors may issue citations to motor carriers operating vehicles without ELDs beginning Dec. 18, but will not place vehicles out of service until April 1. Smaller trucking companies and owner-operators have resisted ELD use. “Technology is not something that should be feared. I think ELDs are going to better measure their time, and it’s going to help them point out exactly who their problem shippers and receivers are,” Voltmann said. Voltmann compared today’s polarized political landscape to the one the nation faced during the Civil War and doubted any movement on infrastructure this year. President Donald Trump’s immediate push to challenge “the third rail for Democrats” by trying to undo the Affordable Health Care Act was a mistake, Voltmann said. Instead, he said the administration should have started by addressing something everyone agreed on, such as infrastructure.